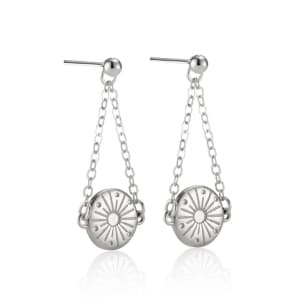 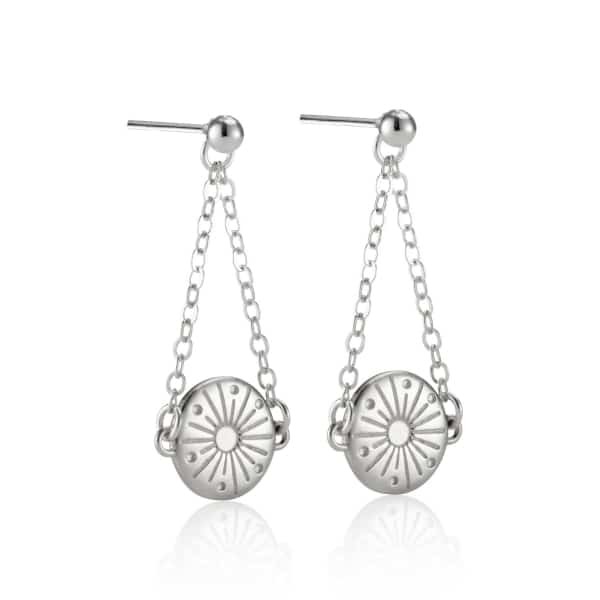 Stylish, elegant, and beautifully presented in the finest sterling silver, our Sun Circle Drop Earrings will make a dazzling addition to any outfit, be it tailored workwear, glamorous evening attire, or modern boho chic festival fashions. 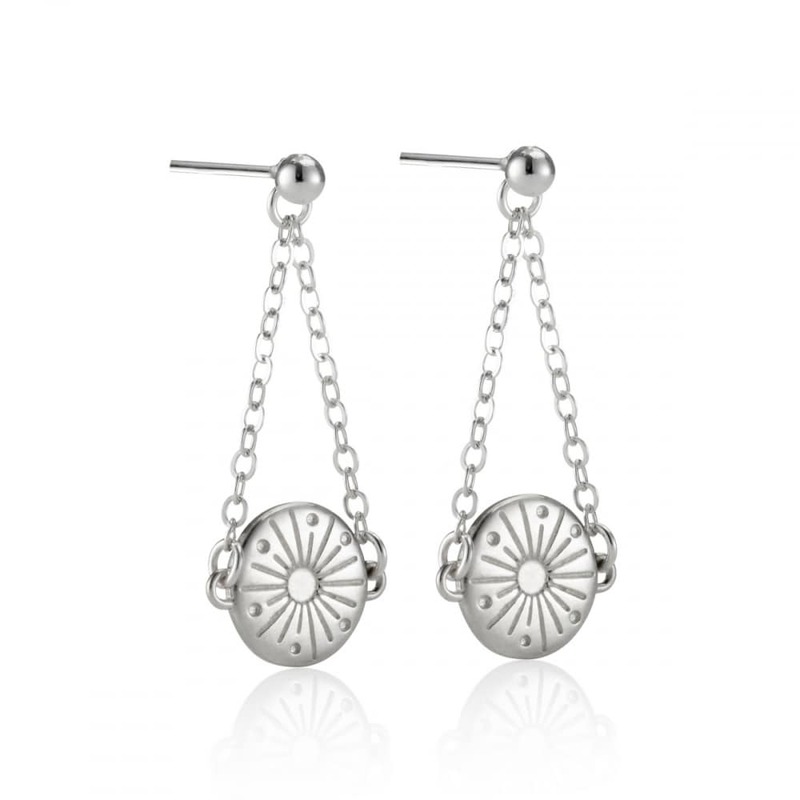 Handmade and intricately detailed, these dazzling Sterling Silver Drop Earrings feature sun circle inspired charms suspended from classic silver chains for movement and fluidity. 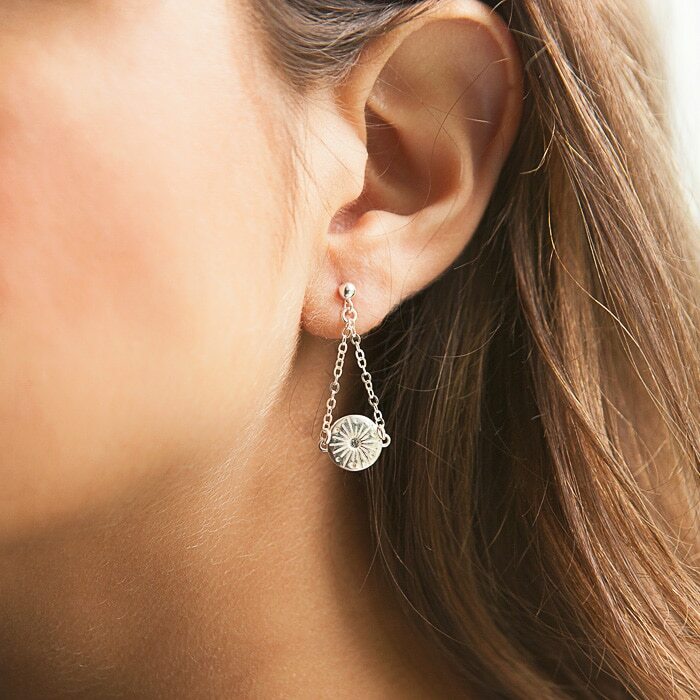 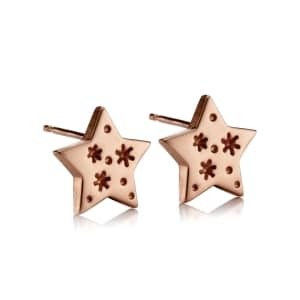 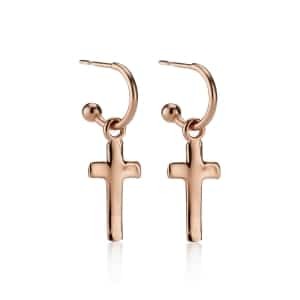 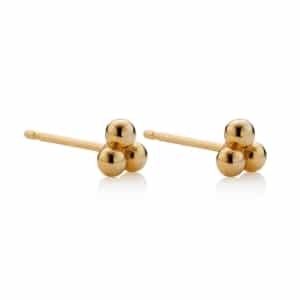 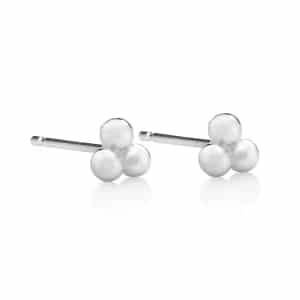 Traditional studs with post and butterfly fasteners for pierced ears add the finishing touch to this gorgeous pair of earrings. 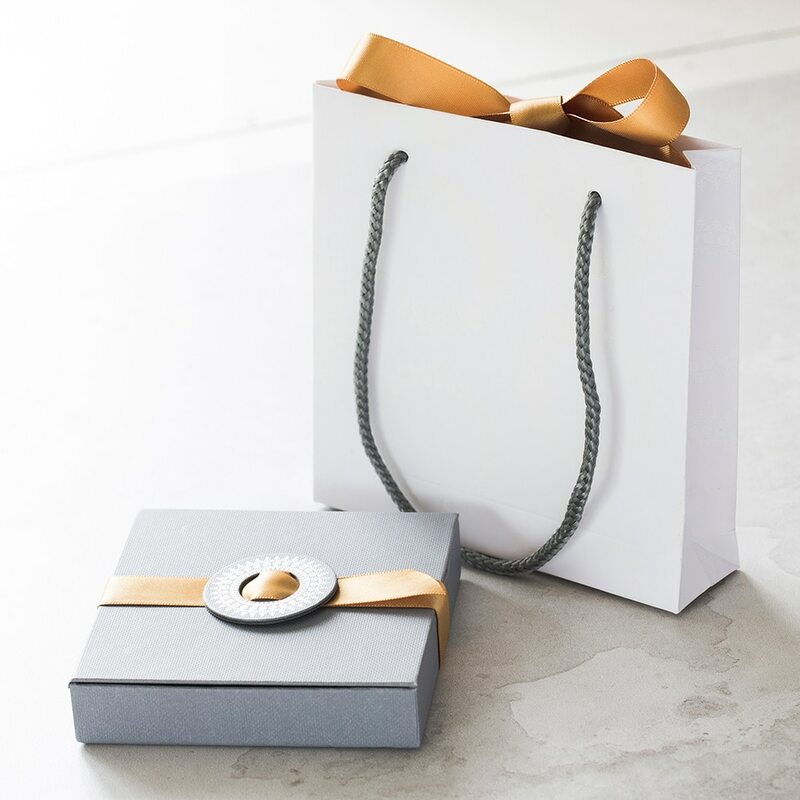 Designed to bring calmness, balance, and positive energy to any jewellery box, they would make a stunning gift for anyone who loves to accessorise with handmade pieces.